Amazon will begin collecting sales tax on purchases made by residents of California in just over a week, prompting many tech-savvy buyers to stock up on household goods and pull the trigger on big-ticket purchases like notebook computers and cameras. Sales tax in The Golden State ranges from 7.25 percent to 9.75 percent depending on where people call home, equating to significant savings for those planning to spend big ahead of the September 15 deadline. Abdel Ibrahim, a tech entrepreneur living in San Diego, told the LA Times he was planning on buying a MacBook Air and MacBook Pro with Retina display before the 15th rolls around. He expects to save roughly $270 in sales taxes that he would otherwise have to pay if he bought the notebooks locally or after the deadline. 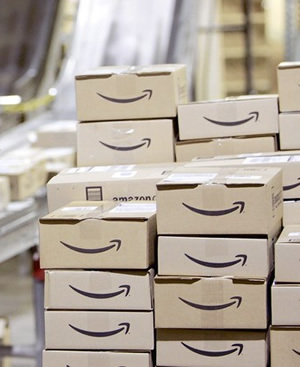 It’s not just the big-ticket items that are leaving Amazon’s warehouses early. 32-year-old Chris Cheng said he purchased nine items from Amazon in the past two weeks, including five pounds of protein powder, exercise resistance bands and a camera. That’s all in addition to the 40 hand warmers he also ordered. Amazon isn’t the only retailer that will be affected by the new tax laws as some 200 other businesses will also be required to collect California sales tax. But because they are by far the largest online retailer, they’ve garnered the most media attention thus far. The online retail giant has been fighting to prevent the collection of sales tax in California for some time now. They were granted a one-year extension last year but it appears their time has run out. Of course, the new requirement will be met with mixed feelings depending on who you ask. It’s a win for smaller mom-and-pop shops as well as large national chains like Walmart and Target that have complained about Amazon’s “unfair tax advantage” for years. "Every retailer has the ability to match a price, but no brick-and-mortar retailer can say to a consumer, 'Don't worry, I won't collect that sales tax,'" said Jason Brewer, a spokesman at the Retail Industry Leaders Assn. "That 6 to 10% price advantage is a huge problem and distorts the free market." Amazon spokesperson Scott Stanzel said the company isn’t worried about losing any business as they still remain strong in regions that have required them to collect sales tax for some time now. The change is estimated to bring the state $317 million annually with more than $83 million of that coming directly from Amazon.